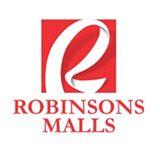 MANILA, Philippines – Robinsons Land Corp. (RLC), the property development arm of tycoon John Gokongwei, is opening more shopping centers over the next two years as it intends to retain its foothold as among the top mall developers in the country. RLC said it intends to put up seven new shopping centers and expand three existing malls in the next two years. This year, the property developer is already looking to open two of the seven new malls and complete one of the three planned expansion projects. RLC, through the upcoming Robinsons Antique and Cebu malls and the expansion of its Novaliches shopping center, plans to further boost its mall portfolio with the addition of about 200,000 square meters of new shopping mall space. RLC said construction of the Robinsons Antique mall is already halfway complete and is scheduled to open by July this year. The Antique shopping center will have a total gross floor area of 14,000 square meters. A bigger Robinson’s mall, meanwhile, will rise in Cebu by the latter part of the year. RLC said Galleria Cebu mall, which would have a gross floor area of 155,000 square meters, is also midway in its completion. Aside from the two new malls, RLC is also set to complete this year the 10,000 square meter expansion of its mall in Novaliches. RLC said expansion is now about 60 percent finish. In October last year, RLC opened its 59,000 square meter Las Pinas mall bringing its total shopping malls around the country to 39 at present, nine of which are located in Metro Manila and 30 in other urban areas throughout the country. Together, RLC said the Las Pinas mall, the Novaliches expansion, and the upcoming Cebu and Antique malls would beef up Robinson’s total leasable space by 11 percent. RLC is allotting a portion of its P17 billion capital expenditure in its 2015 fiscal year to construct and complete the Cebu, Antique and Novaliches malls. The property firm is spending its largest capital expenditure this year to expand not only its mall portfolio but also its hotel and office business.